Are you unhappy with the way your teeth look? Maybe they’re chipped or cracked, or you have gaps between them. Whatever the case may be, improving the appearance of your teeth and gums is a priority for many dental patients. The dental professionals at My Pompano Dentist offer multiple solutions for dull and damaged teeth. One of the most common methods is veneers, a thin shell of porcelain or resin that is bonded to the front surface of your teeth. Veneers can change the shape, shade, and position of your teeth to improve the aesthetics of your smile. They may also be used to replace and restore any lost tooth structure where indicated. Dr. Andrew Browne and Dr. Joseph Thayil will examine your teeth to determine if veneers are right for you. Since they are very thin, veneers are considered one of the most conservative cosmetic treatments available. Composite resin veneers are made from a tooth-colored filling material and typically only require one visit. They cost less than porcelain but also don’t last as long – generally between 3 to 5 years. Porcelain veneers are custom made to fit your teeth and require at least two visits – the first to make an impression of your teeth to send to the lab to create your veneers, and the second to place the veneers on your teeth. Porcelain veneers typically last 5 to 10 years or longer. Another way to improve your smile is with teeth whitening. At My Pompano Dentist, we provide both tray whitening and in-office whitening using the KöR® Deep Bleaching system, clinically acknowledged as the best method to whiten natural tooth enamel. Dr. Browne and Dr. Thayil take great pride in transforming smiles. They have had countless patients who never felt comfortable showing their teeth but who now have attractive, confident smiles they are proud of. 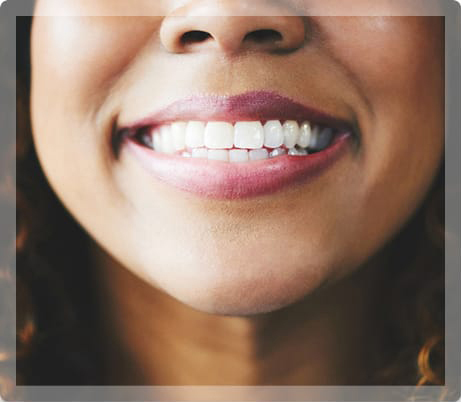 To learn more about our cosmetic dentistry options and how they can enhance your smile, call My Pompano Dentist today at (954) 941-2412 to arrange a consultation or request an appointment online.